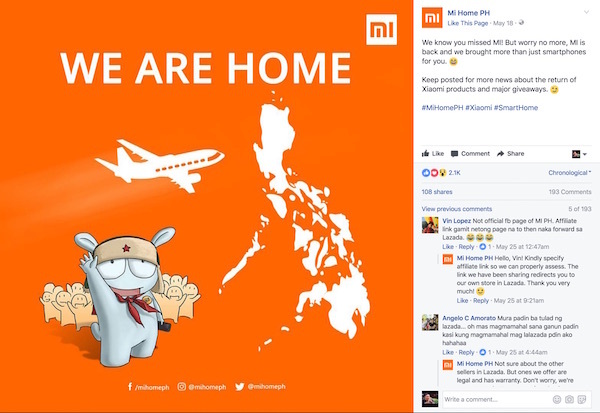 Last month, two Facebook pages claimed that they are the official distributor of Xiaomi products in the Philippines. 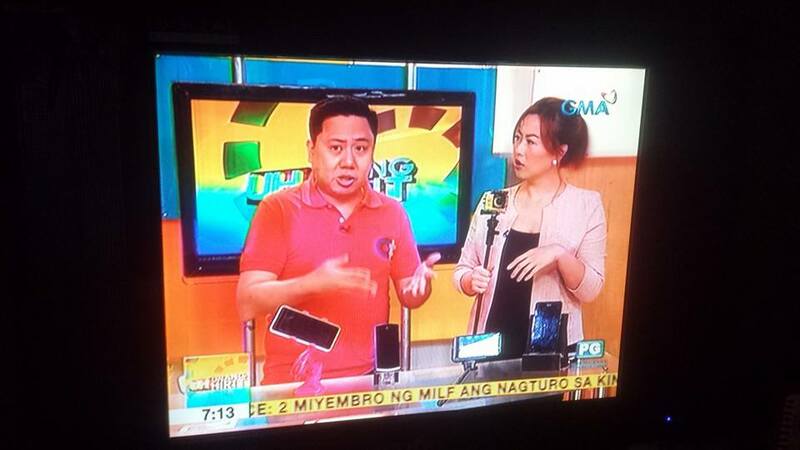 Mi Home PH (https://www.facebook.com/MiHomePH/?ref=br_rs) first made that announcement (https://www.facebook.com/MiHomePH/photos/a.175995486257898.1073741828.166659917191455/182741755583271/?type=3&theater) until Mi Philippines (https://www.facebook.com/MiAuthorizedResellerPH/?ref=br_rs) also tried to claim their official distributorship on Facebook. The claims made by these two groups were reported by blogs lead by Unbox.ph which lead us to find out who the real McCoy is. I have a couple of contacts in Xiaomi’s headquarters so I forwarded them this concern. I was told that their PR will send me an email to clarify the issue, which arrived earlier this evening. There you have it! 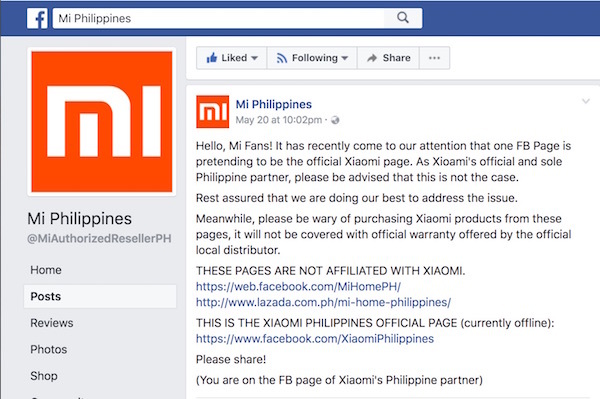 Xiaomi’s Spokesperson has just made it clear that there are NO OFFICIAL MI DISTRIBUTORS in the Philippines, whatever their claims are.